1075 Budapest, Madách Imre út 9. This type of massage uses steams of different herbs and combinates them with the traditional massage. By giving the massage with warm-steamed herb-sacks, the warmth of the steam and the oil of the herbs stimulate the blood circulation, make the muscles and stiff joints function better. This type of massage is perfect for refreshing the strongly forced muscles and joints and curing the pains. The herb-sacks contain more than 15 different kind of herbs. The herba massage joins the beneficial results of the thermotherapy and the aromatic herbal therapy. The little Thai sacks are convenient for the treatment of strained muscles, for warming different parts of the body, massaging the reflex zones, energy lines, acupressure points and for touching, as well. It is perfect for the treatment of painful, stiff, spasmodic, forced muscles, acute lumbago, arthritis, insomnia, migraine and high-toned state. It is mostly the same with the traditional Thai massage but certain grips are omitted because of the slippery body. 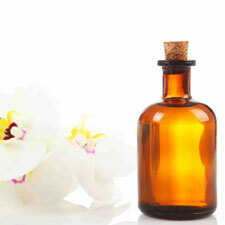 The volatile oils, using the senses of organ of touching and smelling, have good effect directly through the skin. The oily body massage stimulates the blood circulation, the volatile oils embrace the body, absorb and and have good influence by breathing them. 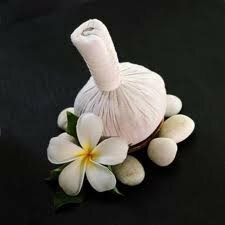 It helps detoxicate, strengthens the immune-system, makes the skin be flexible, silky and refreshes the tired soul. After the oily massage do not have a shower for 4-5 hours because during the massage only 45-60 % of the oils absorb, and only later the rest of them. One course of treatment lasts for 4 weeks. Then a 2-week break is recommended in order the organism to be able to clean. 30 minutes – 7 500.- Ft.
60 minutes – 9 500.- Ft.
90 minutes – 11 500.- Ft.
120 minutes – 15 500.- Ft.
Its roots go back to ancient India. The effect of this massage primarily is to balance the enregy-system. Pressing and streching the muscles tries to help the free streaming of energy. Its technicality is that the Thai masseurs, except their fingers, use their hands, elbows, knees and feet during massaging the physiological points. They increase extraordinary effectiveness by special ‘moving- and cracking-outs’ of the different parts of the body. The purpose is to ease the pains and stiffness in physical and psychological sense and to reach a flexible, pliable and loose condition. The massage takes place on a mattress on the floor through a thin massage dress. 60 minutes – 8 500.- Ft.
90 minutes – 9 500.- Ft.
120 minutes – 12 500.- Ft. The sole massage therapy is of Chinese origin, and is applied successfully for more than 3.000 thousand years in Asia. It prevents and cures numerous illnesses. Almost all the sensory nerves have their roots in the sole. The sole massage stimulates appropriately the activity and function of the insides of the organism. It brings the immunity of the blood and lymph circulation into balance, detoxicates, rejuvenates and promotes a long life. The masseurs, except their fingers and hands, use special small wooden sticks with cream and oil. The sole is the map of the body. If a part of the body or organ is ill, their circulation are bad, their equivalent points become rather press and pain sensitive on the sole. If these points are given a massage, the circulation of the region of the body part improves. 30 minutes – 5 500.- Ft.
60 minutes – 6 500.- Ft.
90 minutes – 8 500.- Ft.
© 2019 Made In Thailand - Masszázs szalon.